Home DU Admissions Admissions 2016 DU ECA admissions: Is centralisation a bad idea? Before this year, there were no central forms for ECA applicants. The applicants had to apply to colleges they chose individually. This was followed by a shortlisting process, in which colleges and the cultural societies took into account the applicants’ marks as well as their certificates and past achievements. The shortlisted applicants then underwent trials, with the cultural society student and teacher members as the judging panel, on the basis of which final selections were done. According to the administration, this led to a multiplicity of trials and wasn’t fair to the applicants, hence the decision to have just one round of centralised trials this year. The ECA applicants had to fill the same common form as the other merit-based applicants. According to the very recently issued schedule by the university, there are going to be preliminary trials at identified colleges post which a list of shortlisted candidates will be released on the Delhi University website. This will be followed by final trials and counseling of the selected students. While the University may have good intentions behind the move, with what reducing the multiplicity of trials and wanting to reduce any personal bias as the judging panel will consist of people the applicants are likely to have had no contacts with, this move has not gone down well with the current DU cultural societies’ members. One of the major issues that the society heads have brought up is the ambiguity of the entire process. Until two days ago, there was no official notice from the University about the entire process or specification of any dates. Many feel that such a short notice for ECA trials makes it difficult for the outstation applicants to participate in them. The official university notification also came two days after the release of the first cutoff list, keeping ECA applicants anxiously waiting. The notification still says nothing about the dates for specific activities. 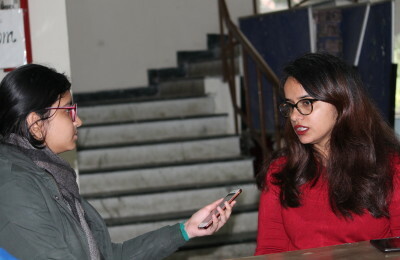 Till last year, student post-holders and teacher conveners for various activities were the ones judging the trials but will have no role to play in the process this year, which, according to them, is unfair to the applicant as well as the society. Since it is the student members who are at the heart of all the activities that take place in the DU cultural circuit, they have insights into the kind of specific attributes the applicants need to be judged on. The ‘expert’ judged appointed by the university for the task will lack this insight into the inner workings of a cultural society and the nuances of the circuit. The cultural society members also don’t understand how the university plans to take into account their specific needs when it comes to members they want in the society. Chandni Jain, President of the Debating Society of Miranda House and a 2014 ECA applicant herself, explained that each college and each cultural society is different and will have different requirements and environments according to which they want to select members. Making a particular criterion applicable pan-DU is equivalent of taking away the ability of the societies to maintain their distinct personalities. Moreover, it also reduces the chances of an applicant to get through. “Certain activities like music are very subjective. I know people who are all excellent musicians but got rejected from some colleges and were accepted in others,” she says. Sankalp Luthra, a member of the Debating Society of Kirori Mal College, was also in agreement about the harmful impact of the lack of independent college criteria and feels that a pan-University criterion will not just harm the societies but also the applicants as it reduces the variety of applicants that could possibly get admissions. The multiplicity of trials in the previous years might have been rigorous but it also allowed the applicants to have multiple chances of getting into Delhi University. Many applicants tweaked and improved their performances over the number of trials they gave and eventually clinched admissions in good colleges. With the changed system of two levels of trials – preliminary and finals – the applicants will have just one chance to make it through the first level to the next, which is a definite cause of concern. The fact that the current student members of the cultural societies, as well as the teachers, have been kept in the dark about the entire process and know nothing about the dates for their activities, the judgment criteria and other details is problematic as well, given that they are the ones who will eventually work with and help integrate the incoming members into the society and the DU cultural circuit. With the ECA admission process set to begin in a few days, one can’t help but think about the possible repercussions of what could turn out to be an ill-thought move by the University, and the repercussions, as is clear from the grievances of the people at the very heart of DU’s cultural scene, could be manifold and would be as unfortunate as they could have been avoidable.